Melbourne Packaging Supllies stocks HDPE pallet caps in clear and black for protecting the top of stretchwrapped goods against dust and moisture. 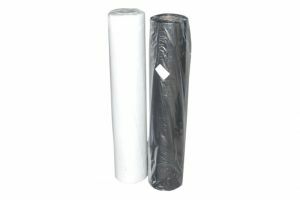 The HDPE materials allows the caps to be thin and cost effective but retain excellent stretch and puncture resistance. Pallet caps are designed to easily drape over the top of a ~1200 x 1200 pallet or smaller, protecting the top of the pallet from dust and moisture.